Julian Casablancas in Montreal or Quebec City? Inform me about the next events for Julian Casablancas. Enroll yourself to our priority waiting list for Julian Casablancas to be alerted when new tickets are available. Filling this form doesn't engage you to any purchase. 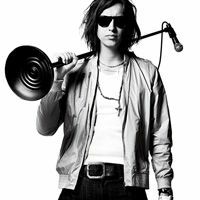 Julian Casablancas will be in Montreal on April 1st, 2010, for a concert at Le National. Singer songwriter and guitarist for The Strokes, Julian Casablancas took advantage of the band's hiatus to release his first solo record Phrazes for the Young, in November of 2009.